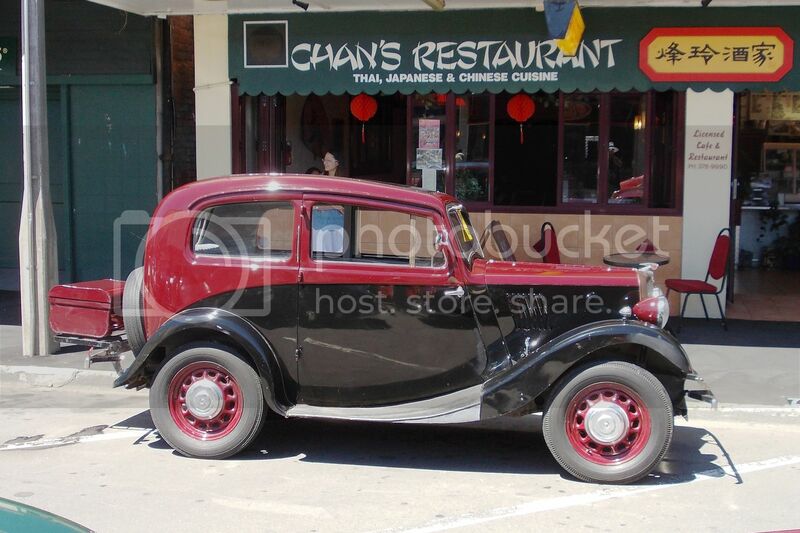 When I was a young lad, local pram shop owner Bill Perry had a black one of these. 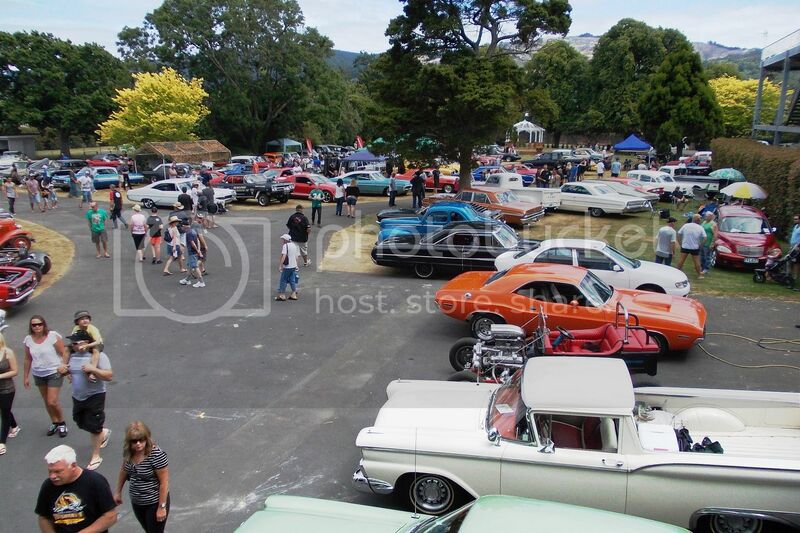 Not all cars on display were entered in the rally, many were locals who just turned out for the day. 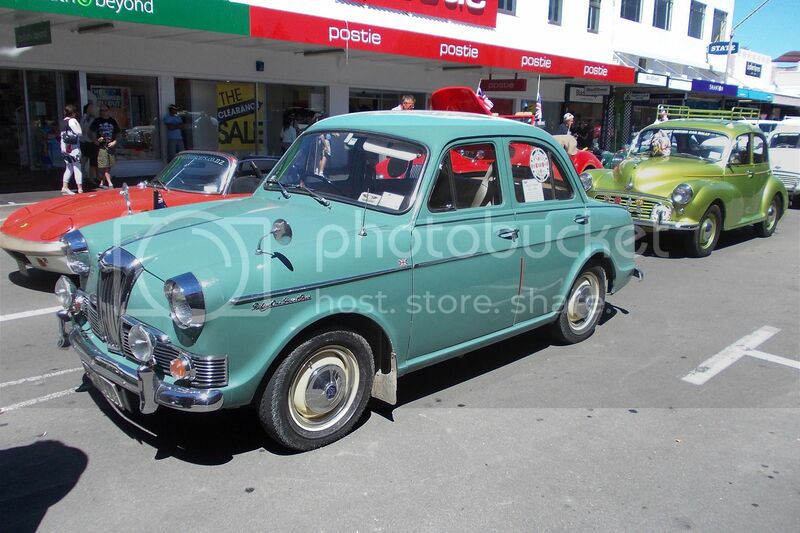 As this example carries no rally decals I suspect it is one of these. 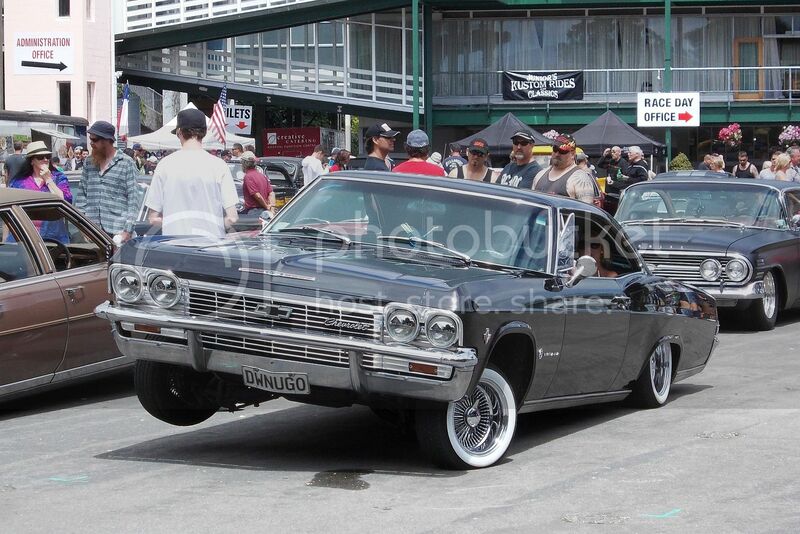 The CJ registration plate indicates this car was originally local when the silver and black permanent plates were first issued in 1964. Perhaps it still is. 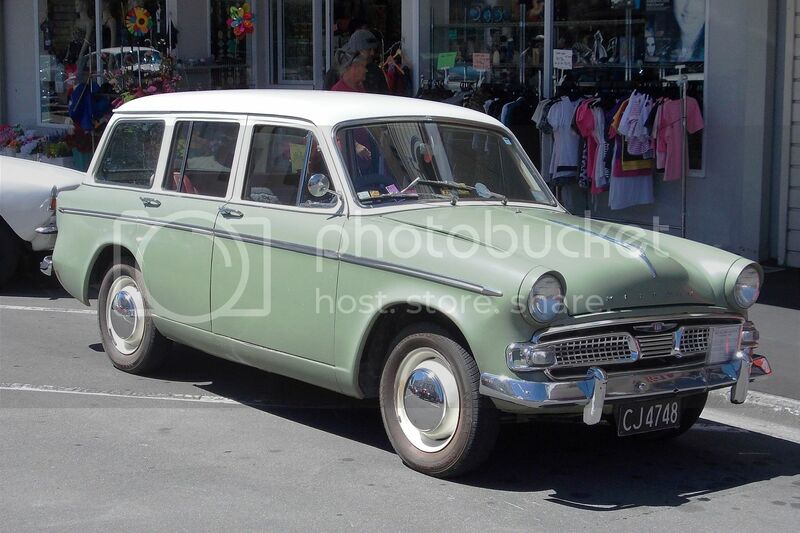 Another local registration on this 1961 Hillman Minx Estate. 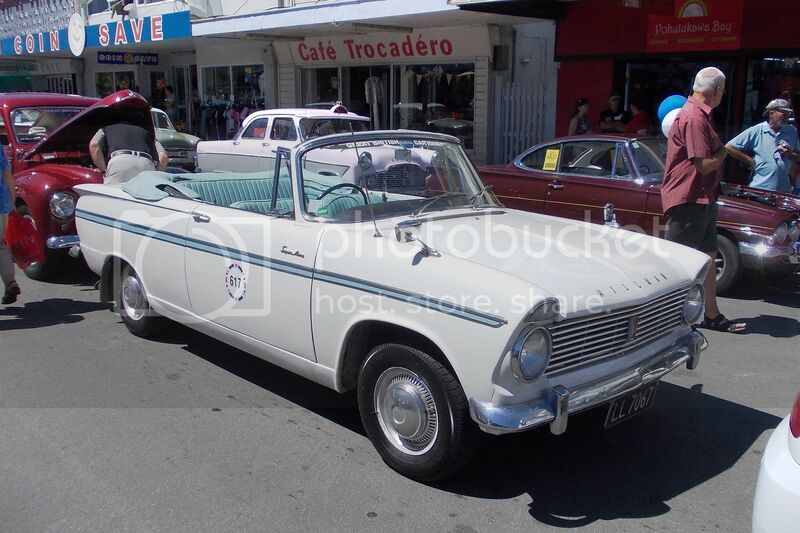 The New Zealand Rootes importers never imported Hillman Super Minx convertibles like this 1963 example. Which seems odd when much of NZ gets a lot of sun. Even odder is the fact that they were built in a country not renowned for its good weather. This Mk I Jaguar carries a personalized registration plate. It is a copy of the UK rego used by Mike Hawthorne on his racing Mk I. 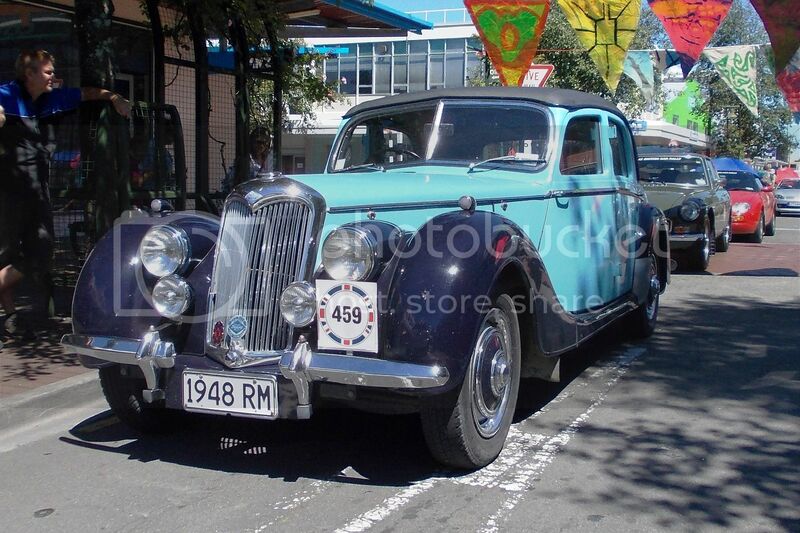 The Riley One Point Five was originally designed to replace the Morris Minor (like the one in the background), but the popularity of the Minor was underestimated. 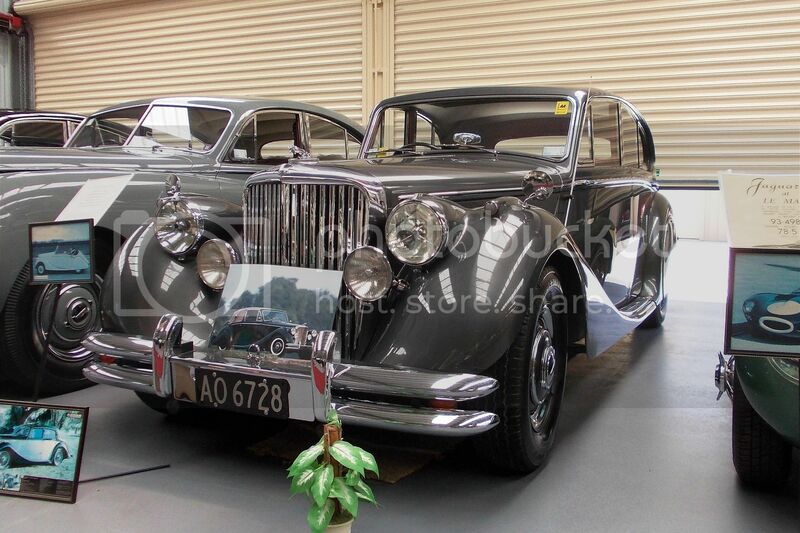 The Riley (and its Wolseley 1500 sister) ceased production and the Minor soldiered on for many more years. 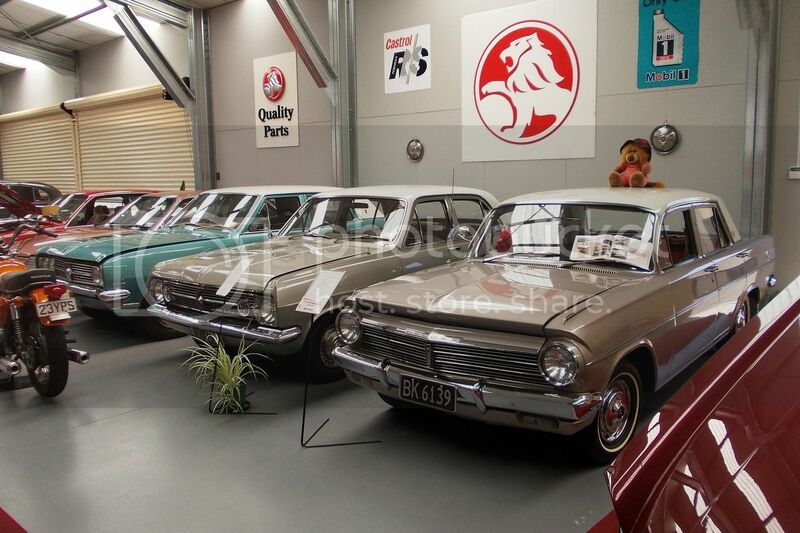 Sydney Allard's family had a Ford dealership, so when young Sydney decided to build his own cars he selected Ford V8s as his power plant, but he later used General Motors and Chrysler units as well. Ford's Capri was an unusual, but handsome style. 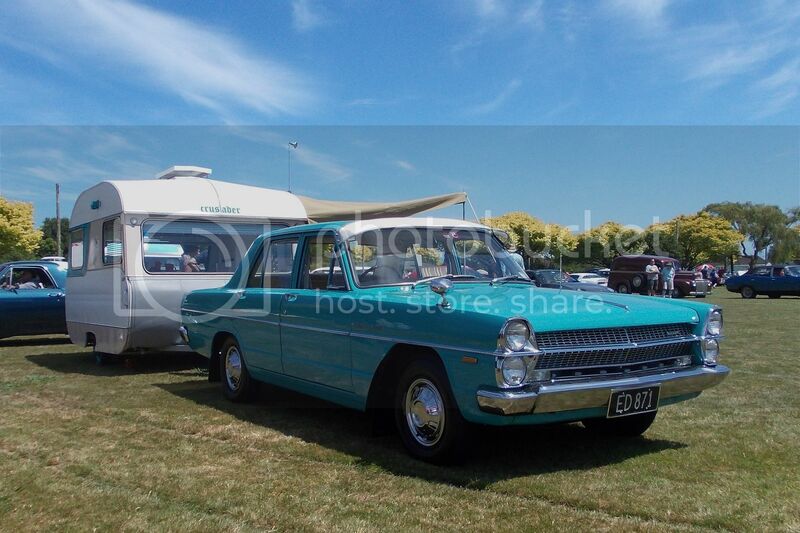 This 1962 model has a small caravan attached behind its long boot. 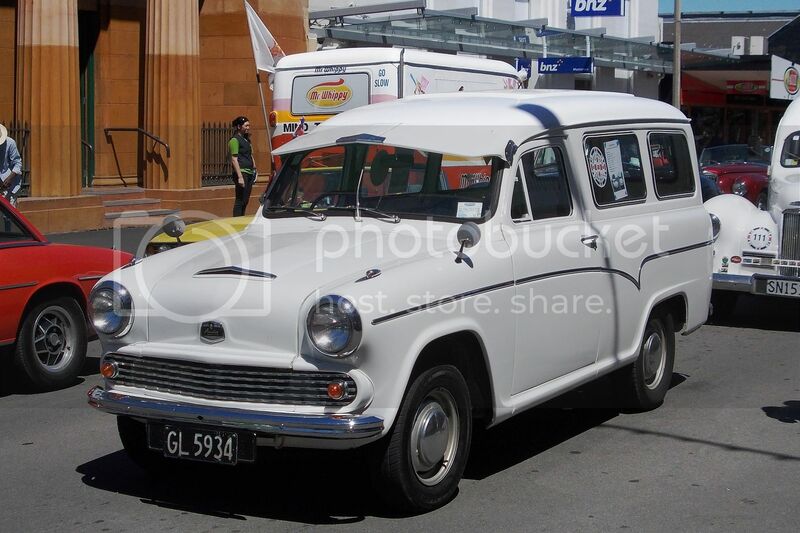 When I was an apprentice mechanic I used to service vans, like this 1973 Austin A60, for our local Power Board. I remember the oil filters were a nightmare to change. 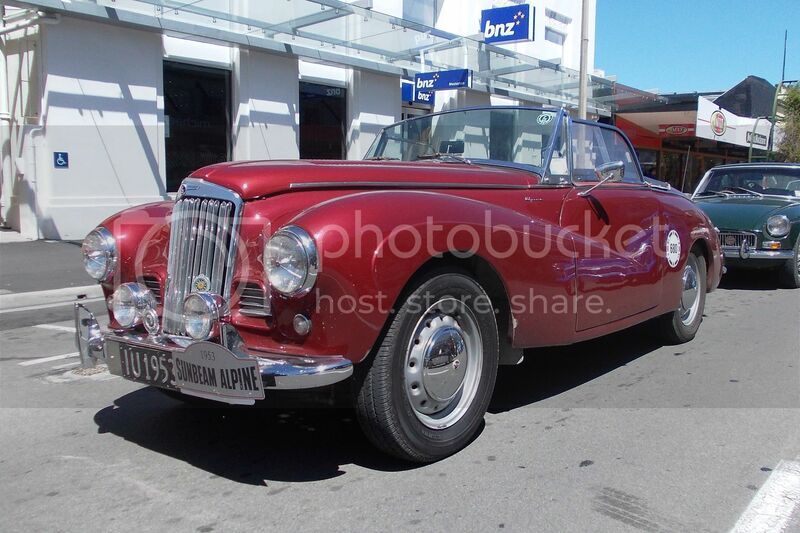 The first Sunbeam Alpines were effectively a two door convertible version of the Sunbeam Talbot sedan. 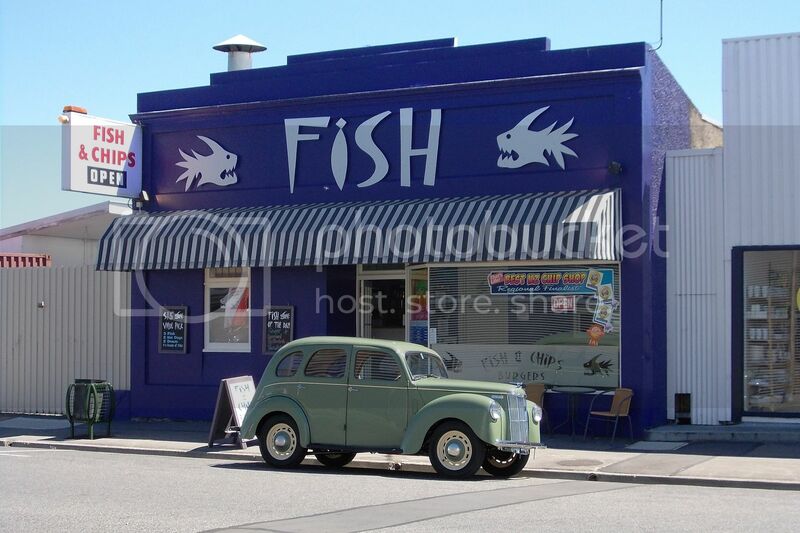 This Ford Prefect wasn't in the rally, but was parked outside the fish and chip shop opposite my work. 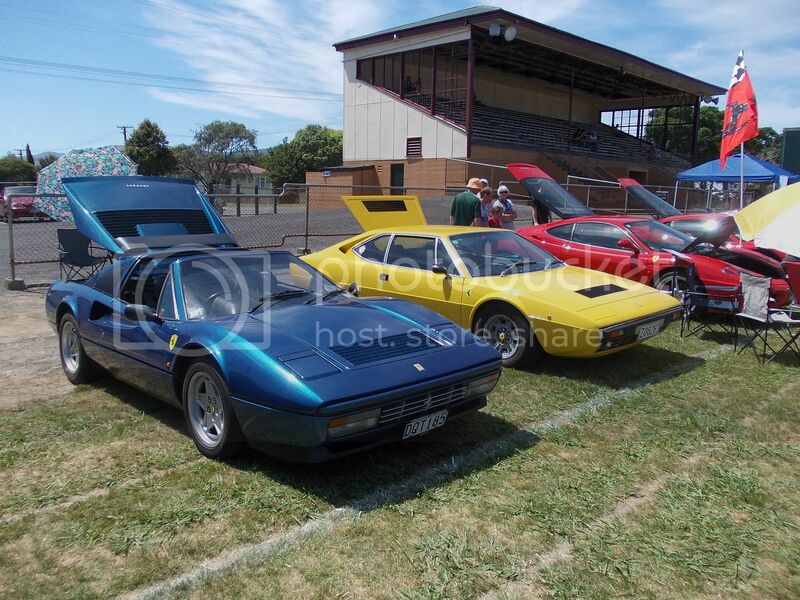 Last Sunday I had intended to attend the British Car Day at Trentham Park, but on Saturday I discovered that the Shannon Progressive Association was holding their Spectacular Car Show at the Shannon Domain. So I loaded my wife on to the back of the trusty Beemer and headed to Shannon. Dropping my wife off at Palmerston North to spend time with one of our daughters. These Rovers were often referred to as "Aunty Rover". 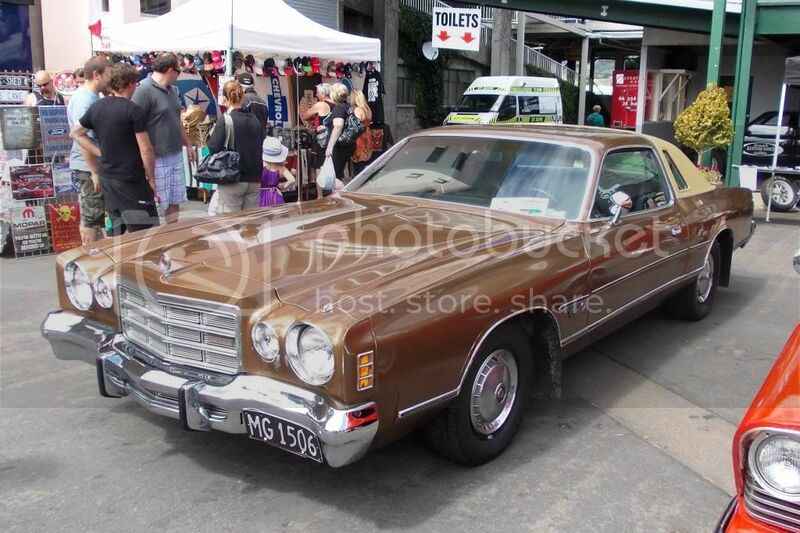 When I was a young lad it seemed every little old lady (who was reasonably well off) drove one of these. 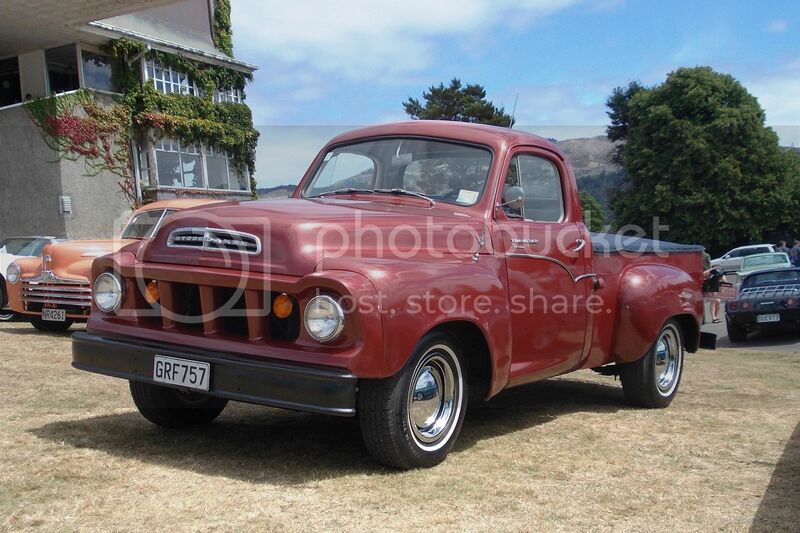 This one is a 75 from 1952. 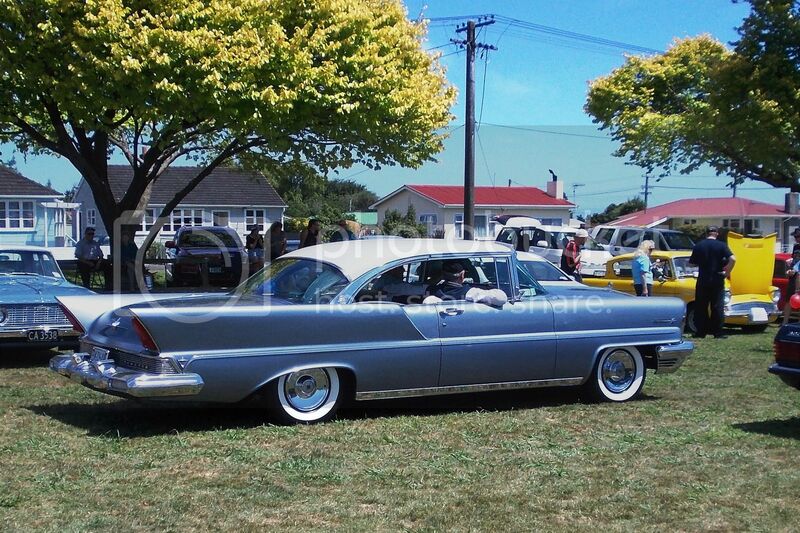 This was the best photo I managed to get of the 1957 Lincoln Continental Premiere as it was leaving. It didn't actually have a telegraph pole on top ! 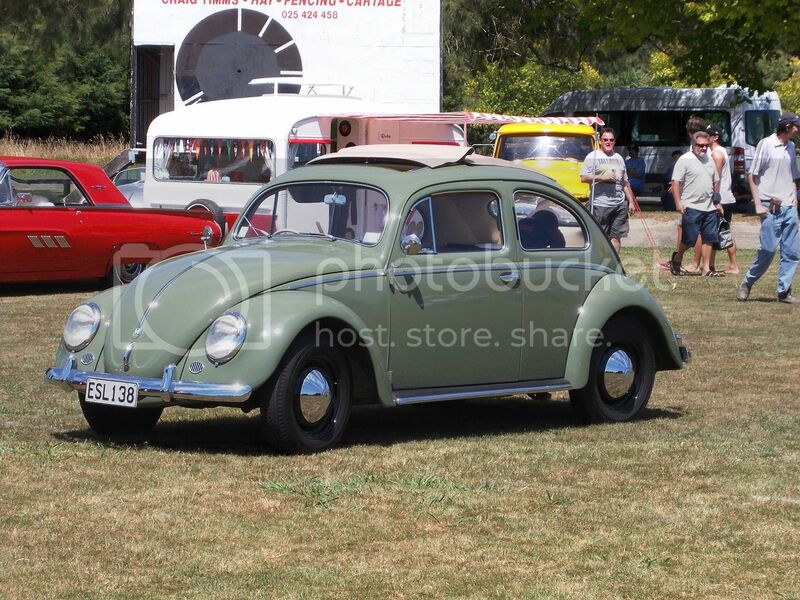 A fully restored 1955 Volkswagen 1200. I served my apprenticeship on these. This 1968 Nissan Gloria was not restored. 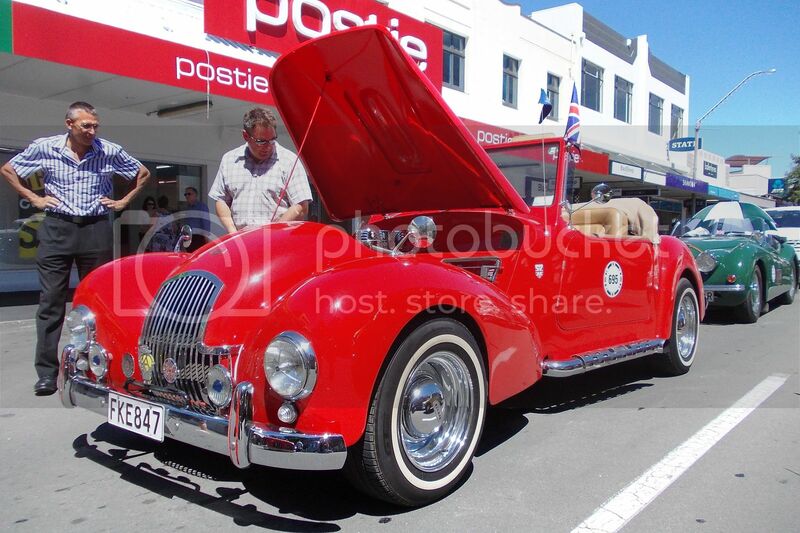 It was discovered in Christchurch in 2009 with 6000 miles on the clock. 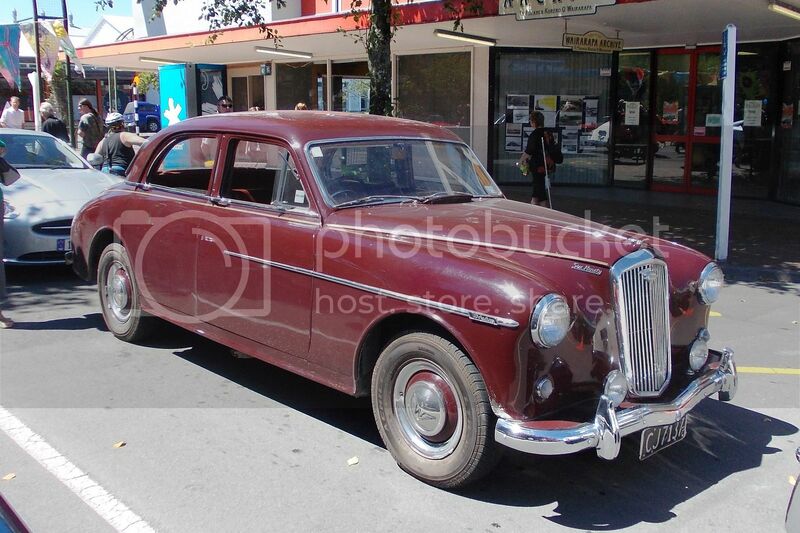 Still has the original plastic covering over the sun visors and the original cross-ply tyres. 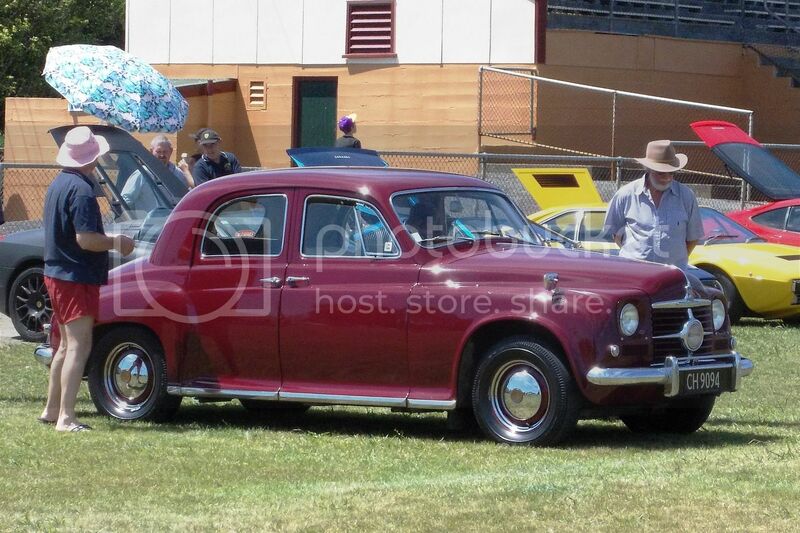 Very nice Ford Zodiac from 1955. 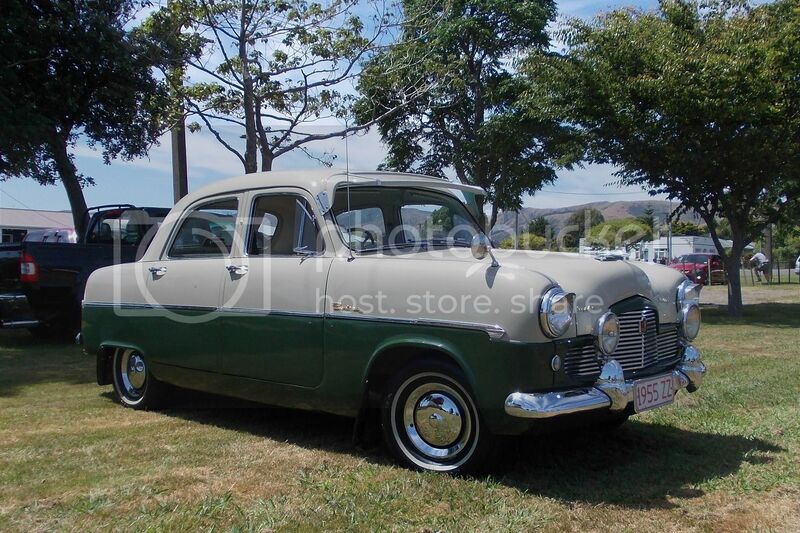 My Dad had a '54 Zephyr, but that was before I learned to drive. 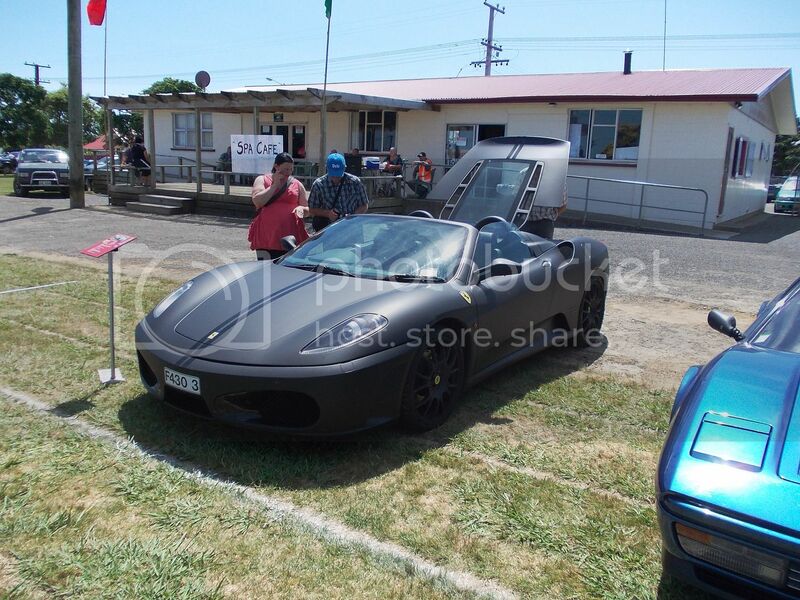 I can't imagine why anyone would spend all this money on a Ferrari F430 and order it in matt black ! It looked bloody awful....am I old fashioned? 1986 328 and 1977 308 in far more sensible hues. 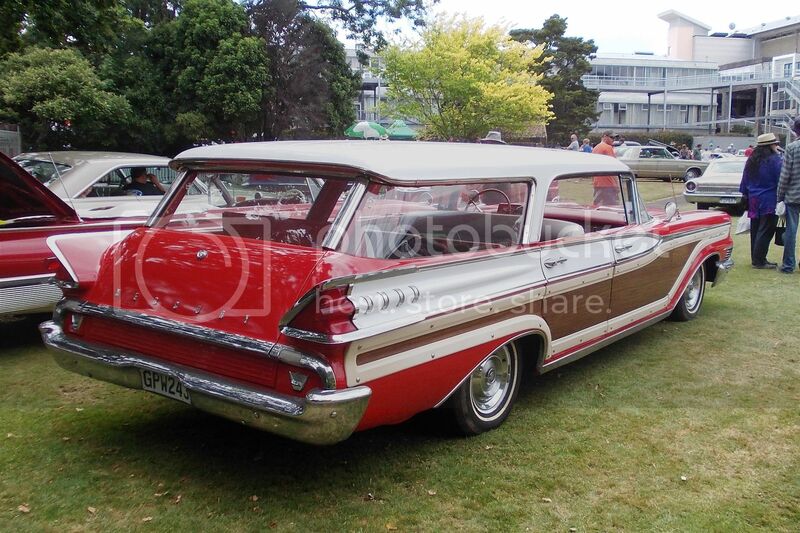 This 1963 EJ Holden Wagon was better than new inside and out. 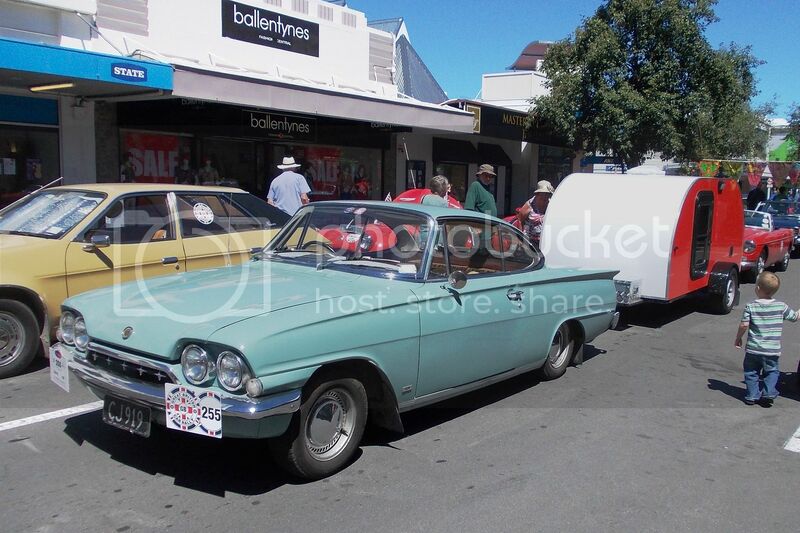 Ford Thunderbird from '63 looks as if towing this caravan would have been an easy task. 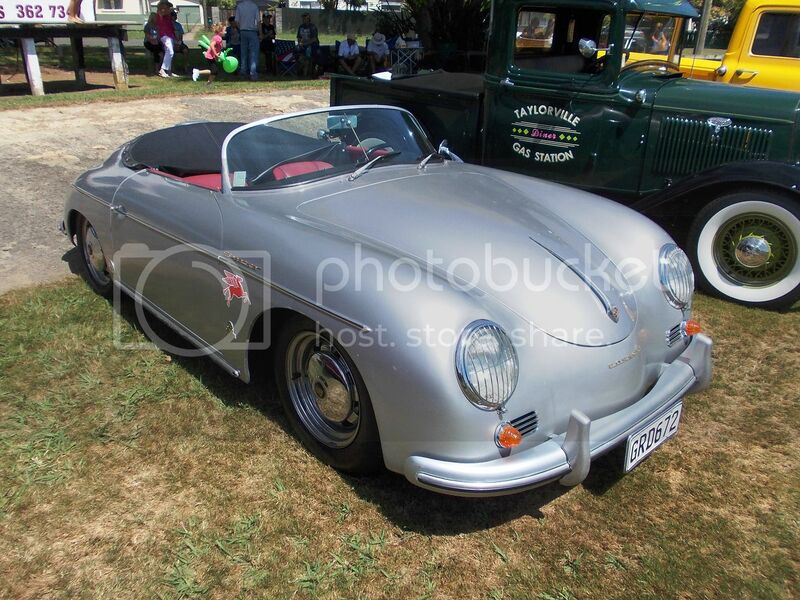 This Porsche 356 replica was well constructed. I thought it was the real thing when I first looked at it. Unfortunately I didn't get as many photos as I would have liked as I had the digi camera on a macro setting which made some of my shots slightly out of focus. Without my specs on I hadn't noticed the little symbol in the corner of the viewing screen. I hate cameras without viewfinders. 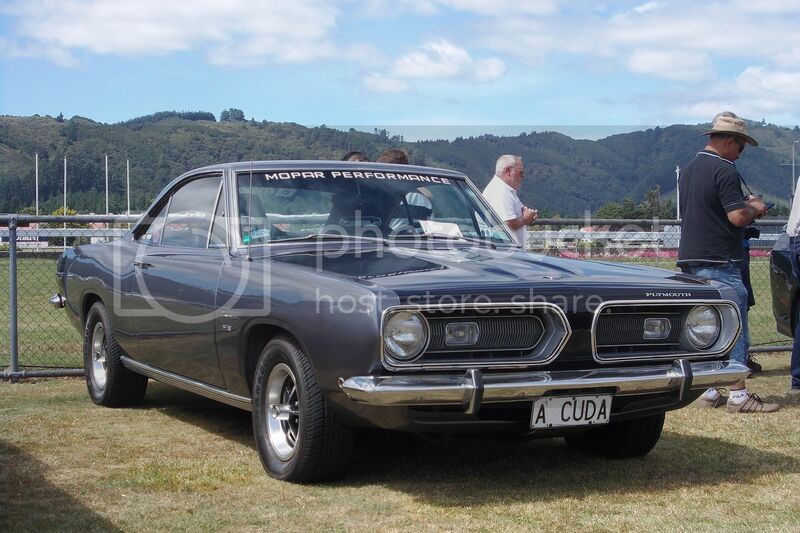 At New Year I was in Marlborough for a family event and got to see Omaka Classic Cars which I missed last time I was there to see the aircraft museum. 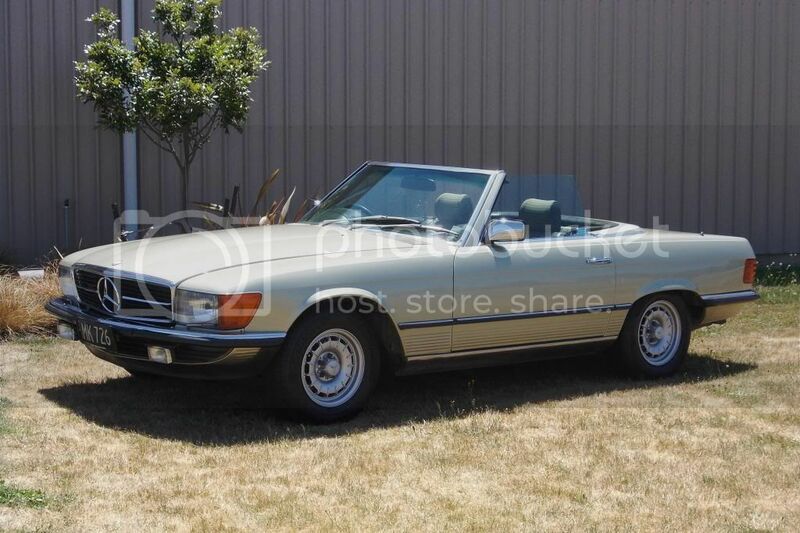 The 1984 380SL Mercedes wasn't really a sports car, more of a grand touring convertible, but a magnificent motor car all the same. 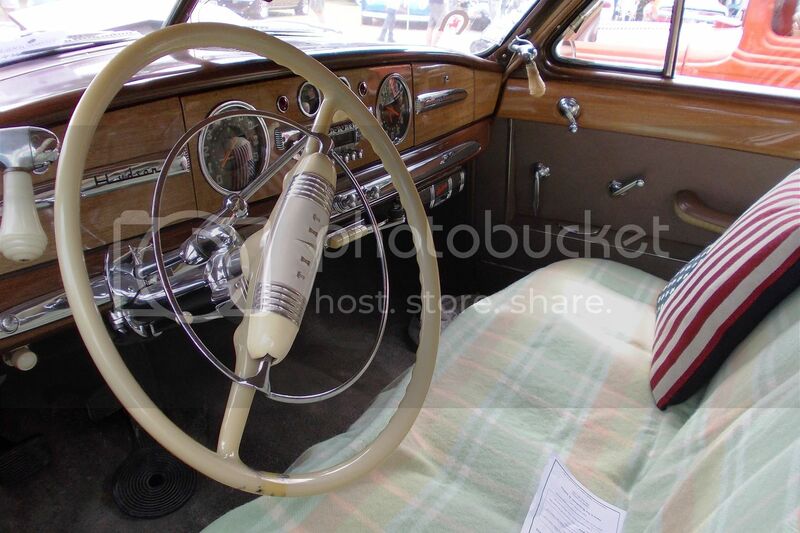 I remember when every little old lady had a standard one of these and a lot of young men had highly modified examples. 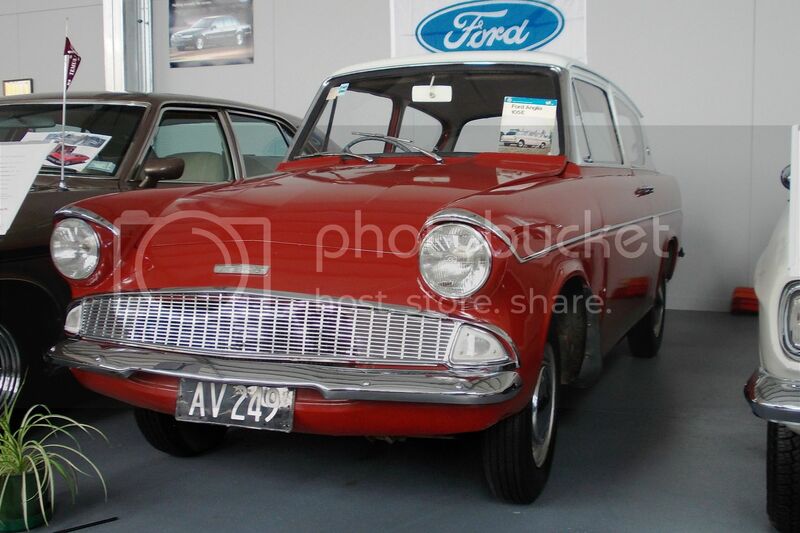 This Ford Anglia from 1961. The spartan interior of the above Anglia. 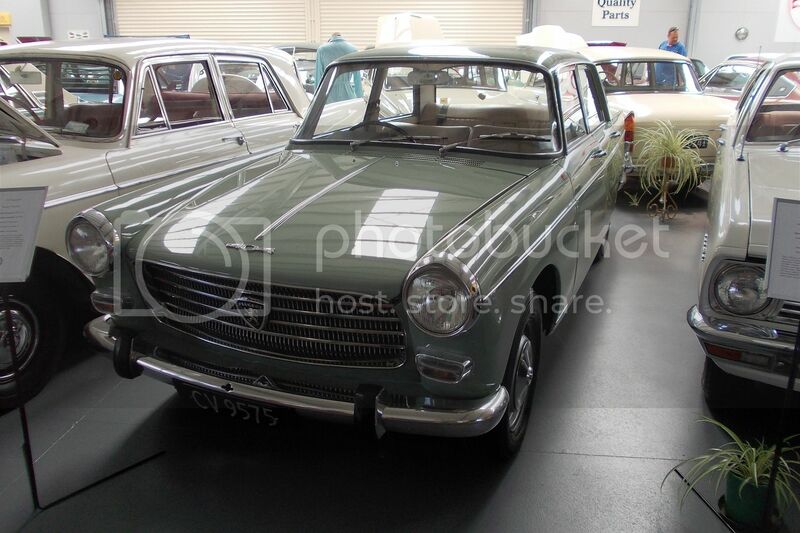 The Peugeot 404 was a refined saloon for its day. Certainly a much quieter and smoother car than its BMC look-a-likes. 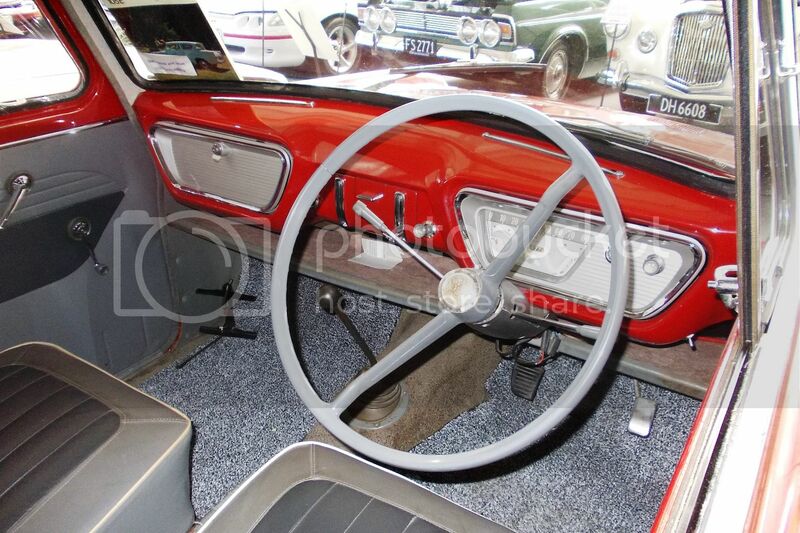 The engines were also renowned for covering very high mileages with little maintenance. 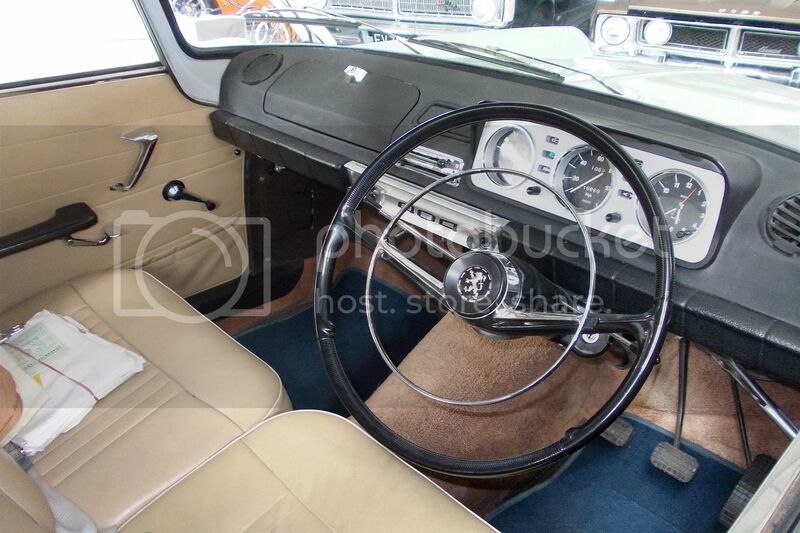 Even the interior with its long column shifter has a reasonably up-market look about it. 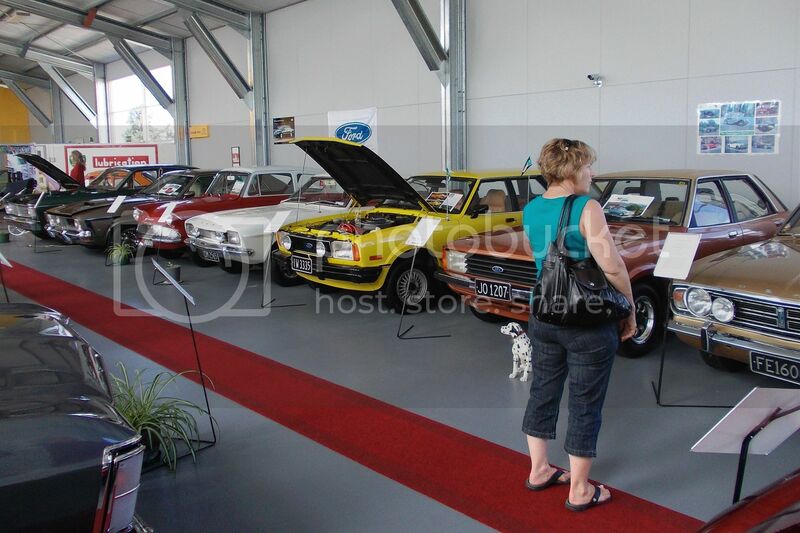 My wife surveys the Ford line-up...Falcons, Escorts, Anglias, Capris, Cortinas.......Those were the days. The Brits down on the farm. 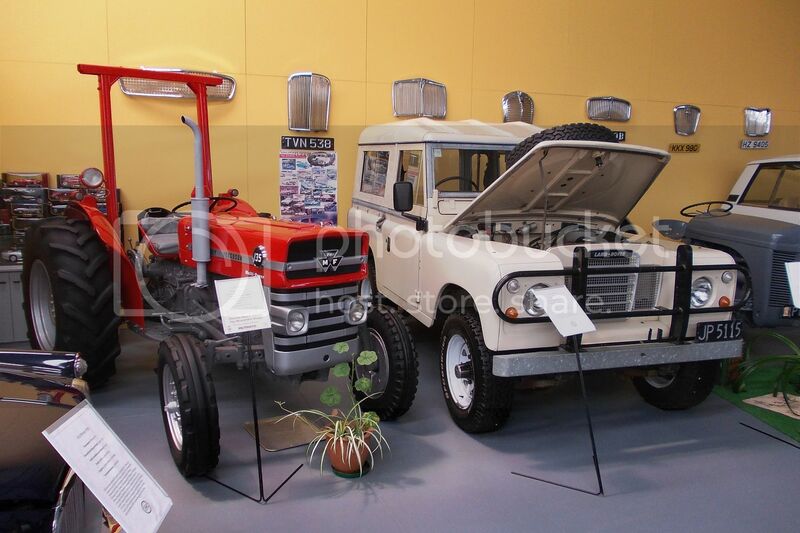 The Massey-Ferguson 135, manufactured from 1964 to 1975 and a series 3 Land Rover from 1980. The two Holdens nearest the camera would be my two favourite models. The HR and the EH. 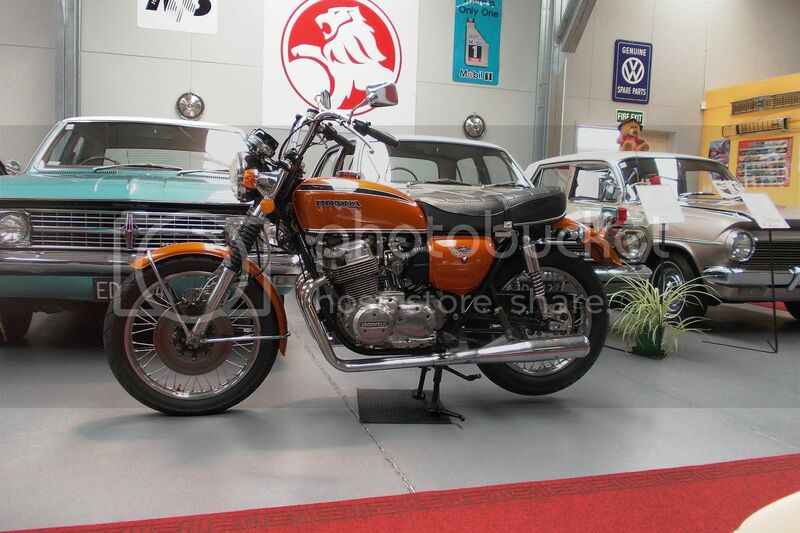 Nice to see a 750 Honda in restored condition. 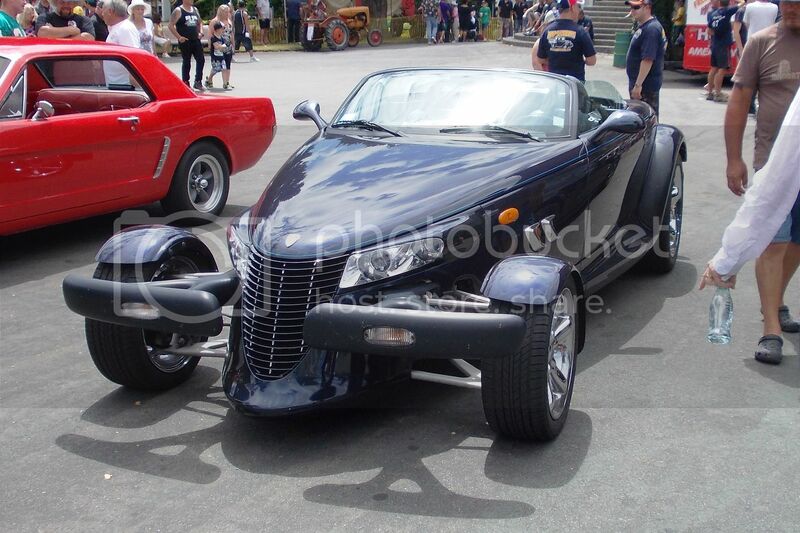 Unfortunately far from original with its 4 into 2 exhausts and painted parts which should be chromed. 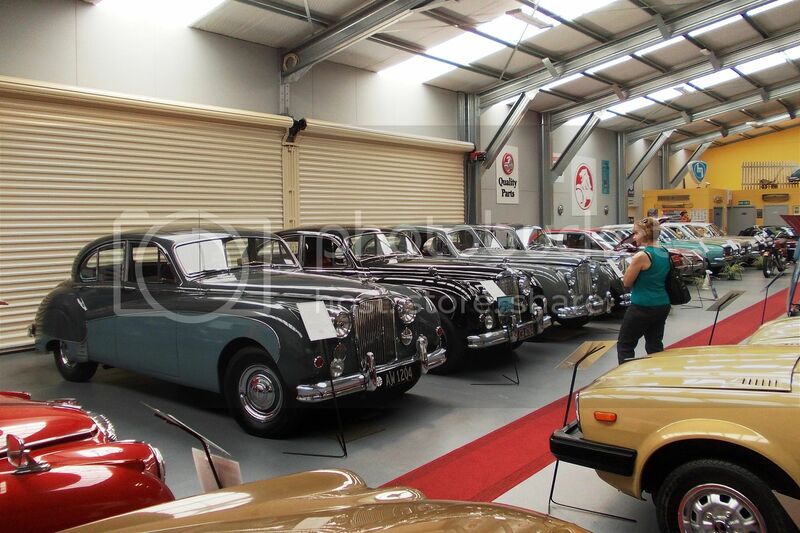 Jaguars are obviously special to the collection owner. 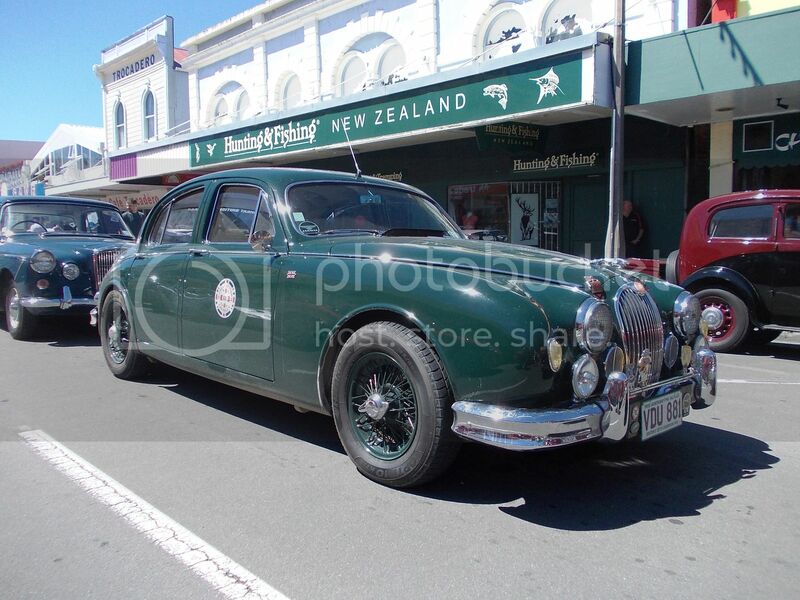 This line is made up of Mk IX, Mk VIII, Mk VII and my wife is obscuring the Mk V.
The Mk II bodied V8 Daimler was a reasonably popular car in NZ, but this is the first 4 speed manual with overdrive I have ever seen. 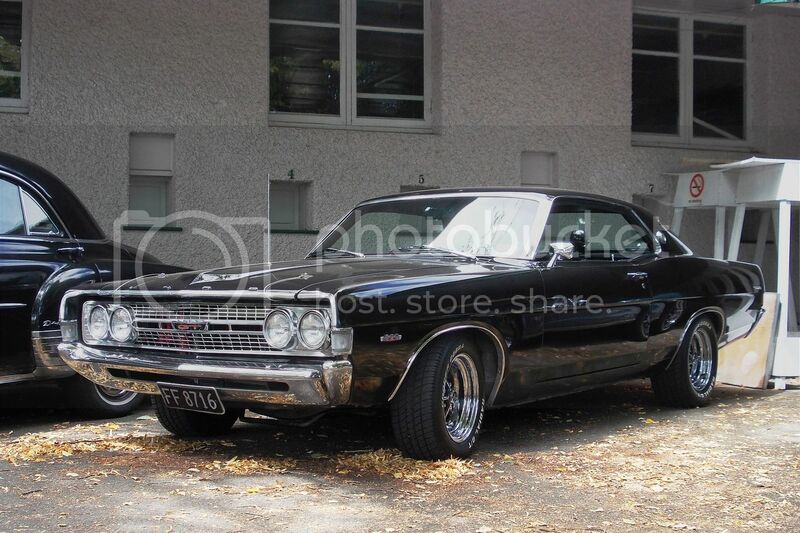 Although this model was produced from October '62 to July 1969 (firstly as the 2.5 litre V8, later called V8 250) manual transmissions were only available as an option from February 1967. So I'm guessing the proportion of the total 17880 made in manual form was fairly low. Jaguar's brilliant XK engine was a masterpiece. 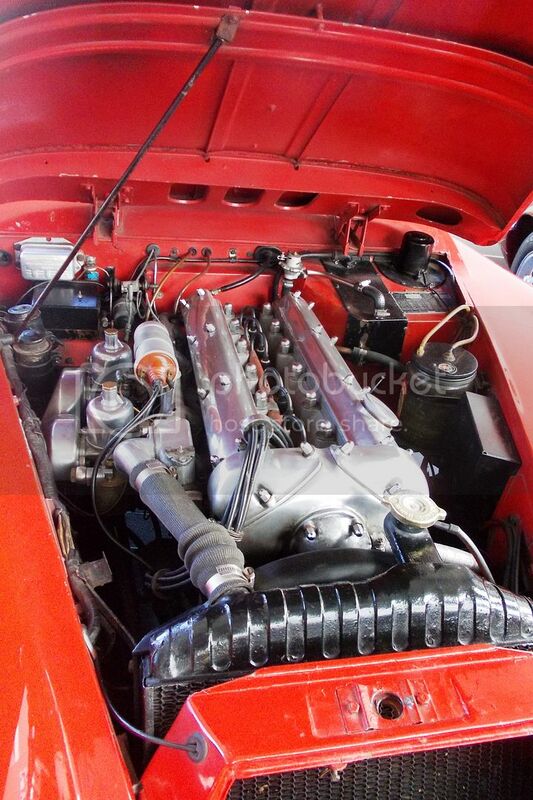 Here it is squeezed into an XK 140. 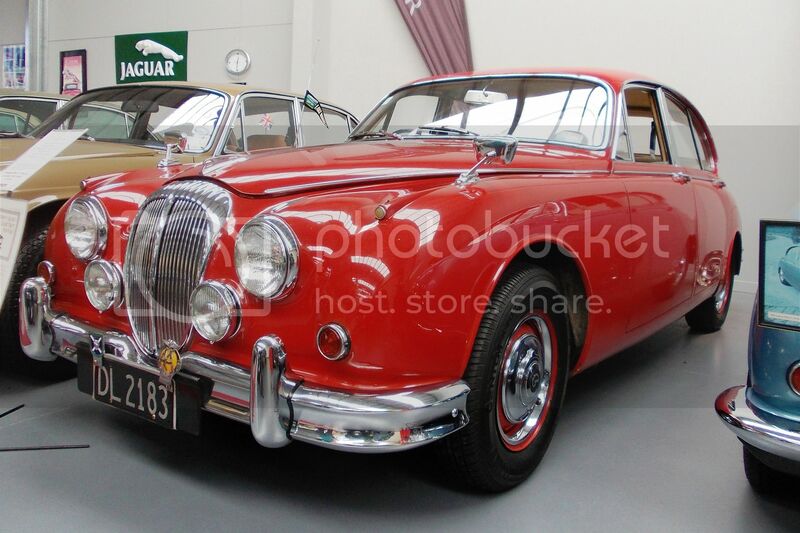 The aforementioned Mk V Jaguar. The Old Vic recently showed these photos on Big Lorry Blog, but we reckon they are worth repeating here. I have included Vic's original words with this. His reference to this being a truck blog of course refers to big lorry blog. Anything mechanical (including buses) is welcome here. Old Vic says...I was thinking the other day that while Bedfords don't have a particularly glamorous image, they have moved a huge amount of freight and a very large number of people around different countries over the years, especially in the years since the war with their O, S and TK models and their derivatives and bus equivalents. In New Zealand there were huge numbers of OB and SB buses and I believe that NZR Road Services, who ran almost all the long distance buses in NZ, had the biggest fleet of SB Bedfords in the world. What started me thinking about this was a TV programme I saw the other day that included an OB coach travelling around some English villages and along some hilly roads; the sound of that unique whine from 2nd and 3rd gears in that 4-speed gearbox brought back lots of memories, it is a sound that will never be forgotten. Anyway, this a truck site, not a bus one, but with the older Bedfords there was not much difference between the truck and bus models. 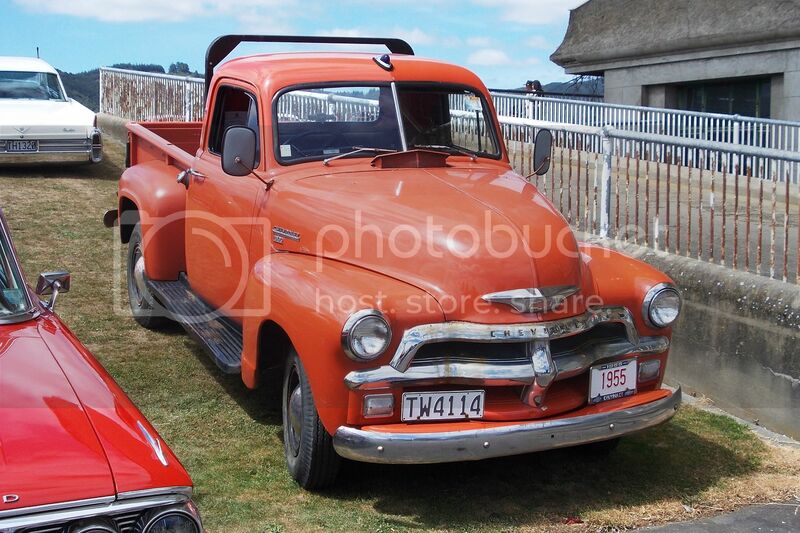 There are lots of old Bedfords around NZ parked in paddocks or beside the roads, some mobile still, some not, and I thought "Why not take some photos of some of the ones I pass on my next trip south?" So here is the result, I saw more than this but some of them were in places where I couldn't stop the Inter to take a photo. If anyone else has more Bedford photos of any era I would love to post them here. 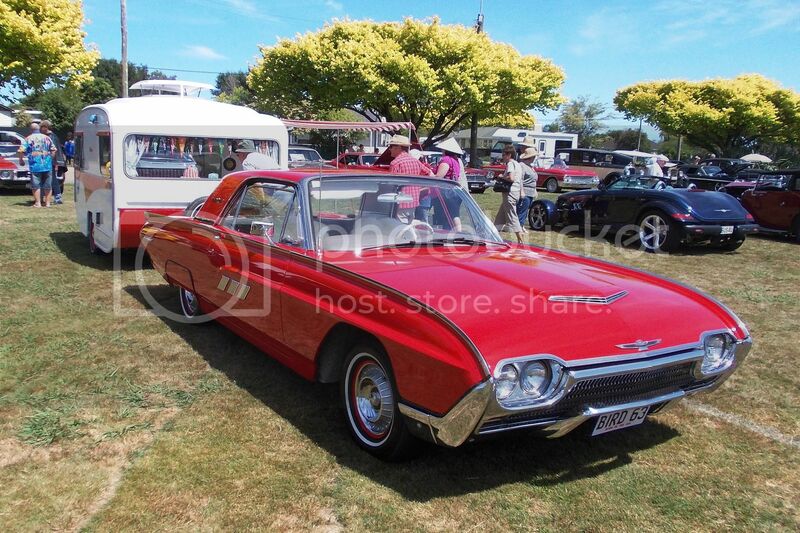 Today's American Car Show at Trentham Racecourse was a magnificent turnout of cars and spectators on a hot summer's Sunday. 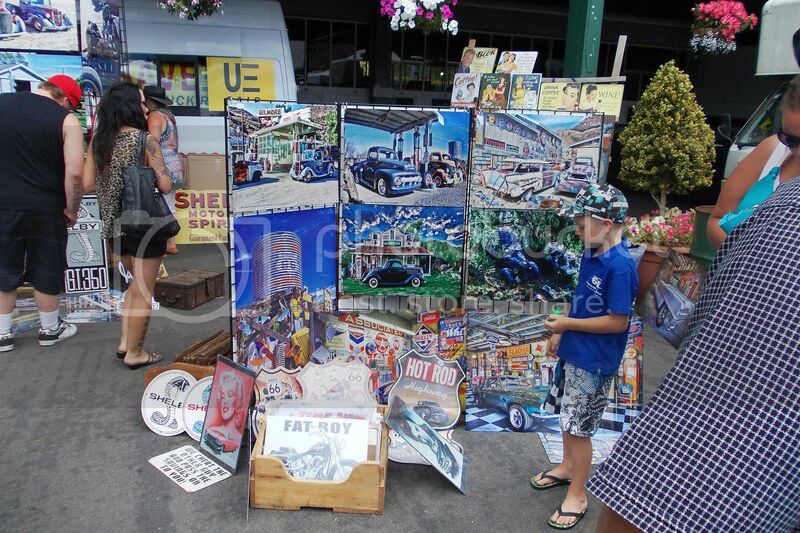 Stalls selling car related products are as important as the cars themselves. 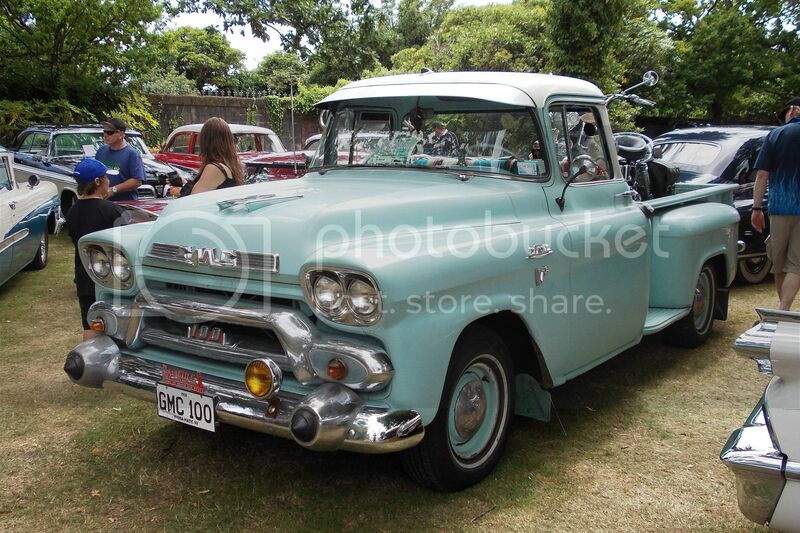 GMC truck with Harley on board. 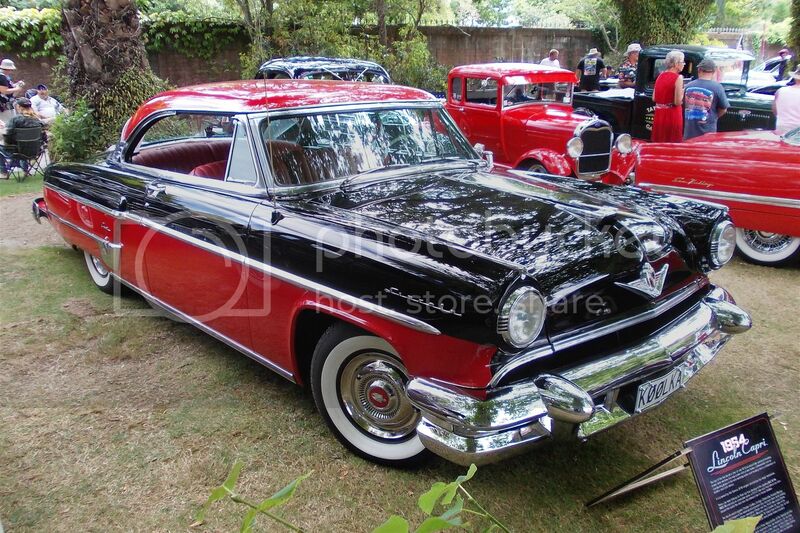 Red and black always look good together, as on this Lincoln Capri of 1954. 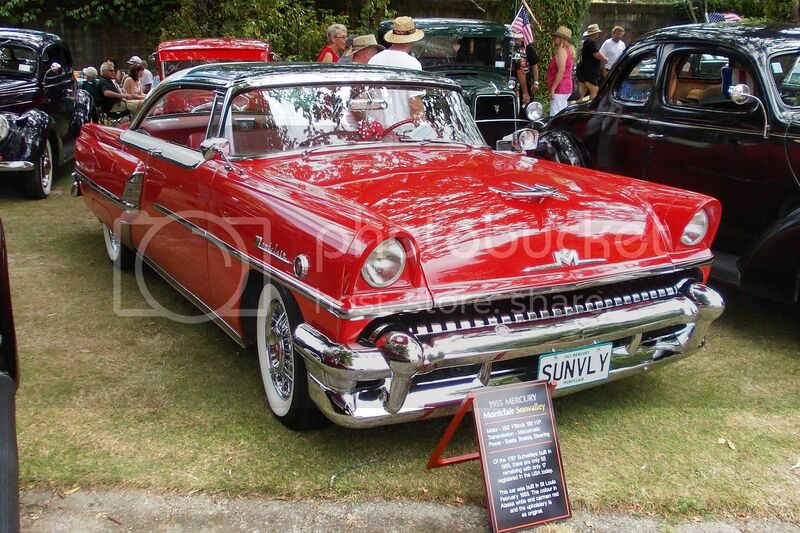 I wouldn't mind this '55 Mercury Montclair Sunvalley parked in my garage. 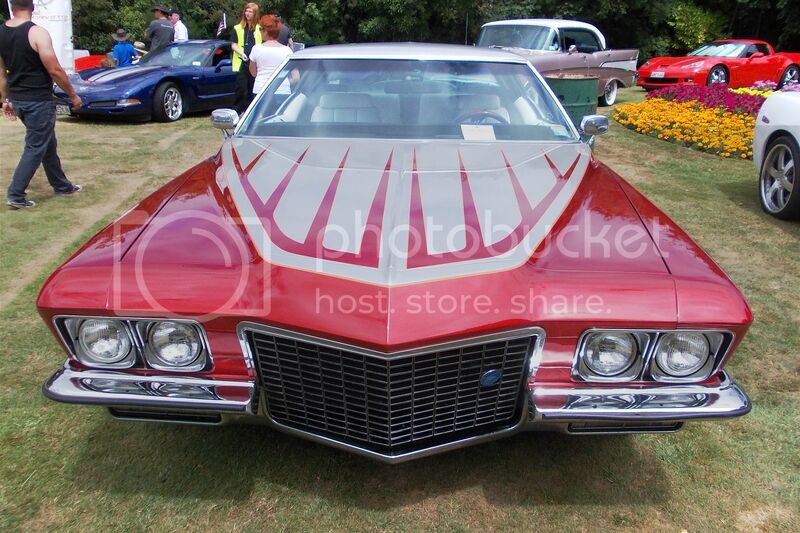 Big bold front of the Buick Riviera. 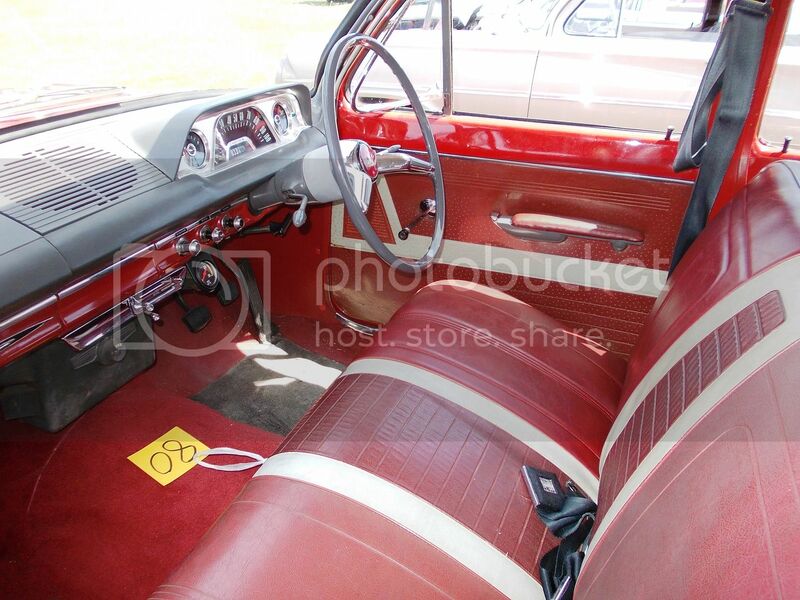 Sitting in the third row of seats of the 1959 Mercury Colony Park would be like sitting in the back of a bus! 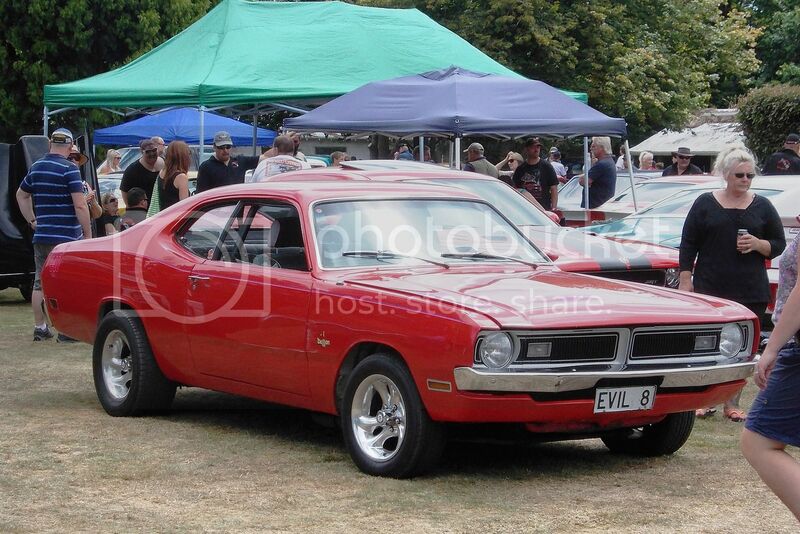 .....the 1970 Dodge Dart Demon, use the same basic body. 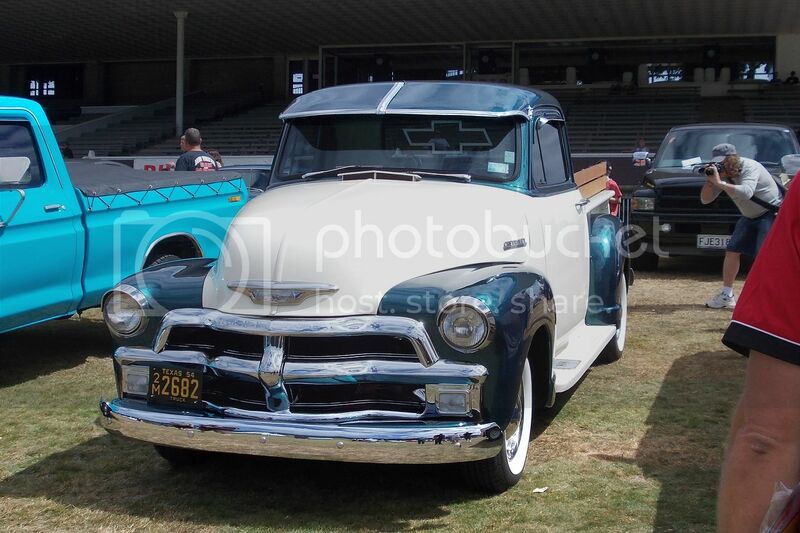 Immaculate restoration for the 1954 Chevrolet pickup. One piece windscreen is unusual. 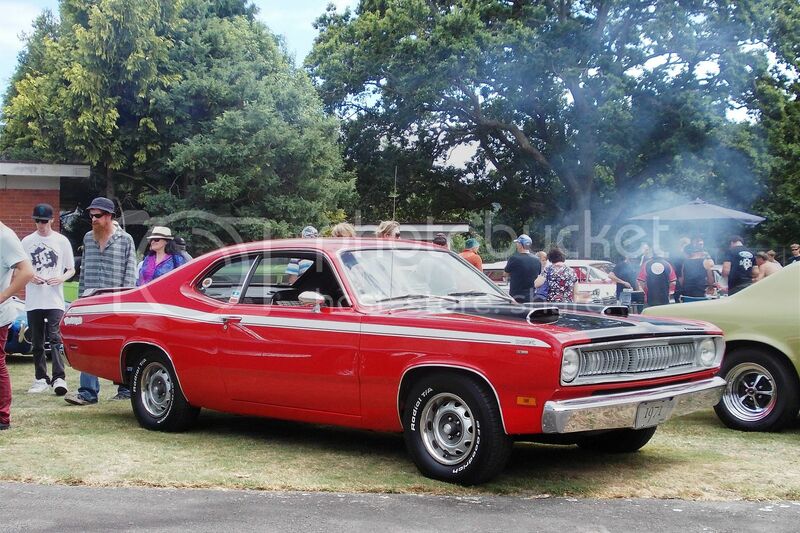 I have to admit for having a soft spot for Mopars. 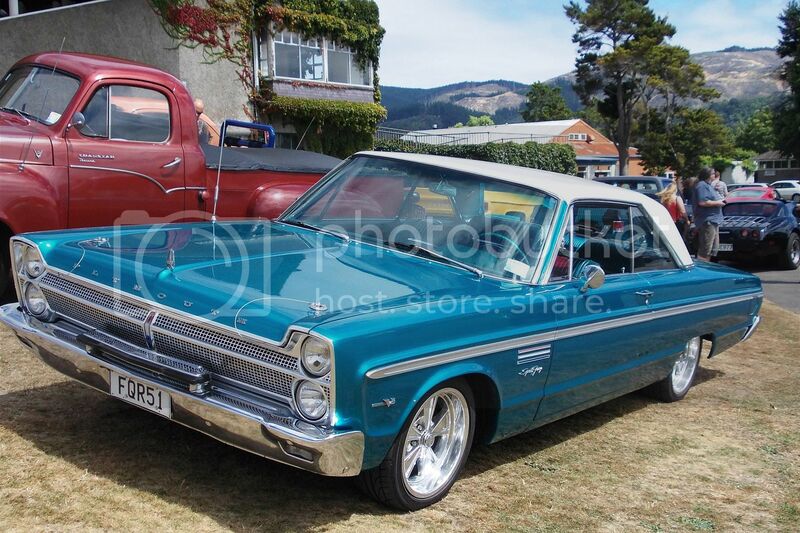 This is a 1965 Plymouth Sport Fury Commando V8. 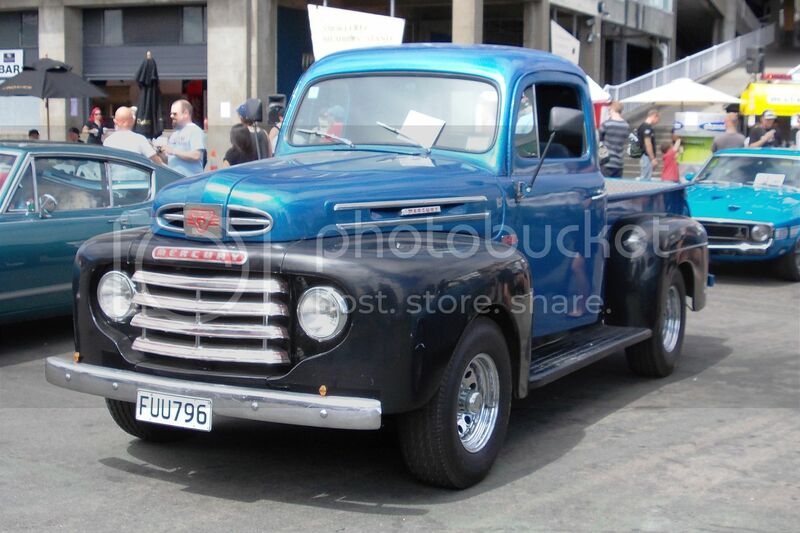 Unusual to see a 1951 F 100 wearing the Mercury badge. 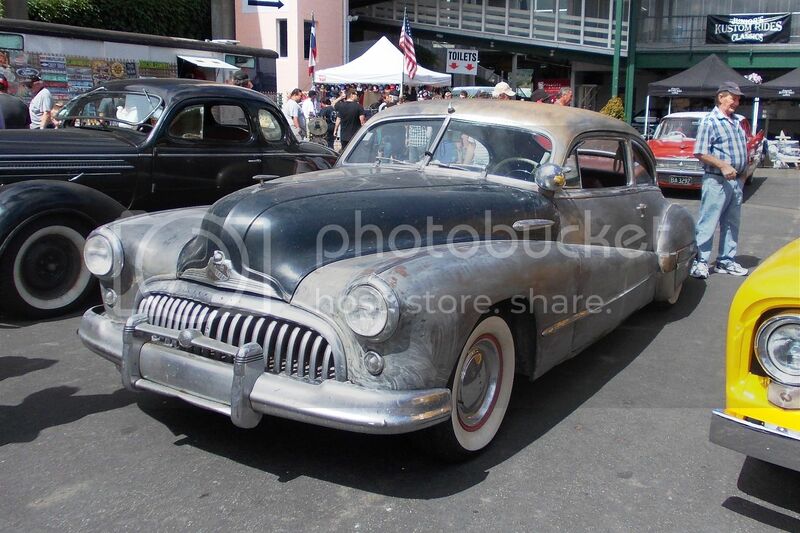 A long way to go yet, but I can imagine this Buick coupe will look amazing with a lot of hard work. 1976 Dodge Charger SE looks completely standard. Just the way I like them.